Cloud is undoubtedly the driver of the new tech economy. Be it SaaS, PaaS, IaaS, Public, Private or Hybrid clouds, E-Commerce, IOT (Internet of Things), Big Data or some iteration that at the back of it is supported by cloud technologies. Technology is both enhancing and reducing in cost at such a speed, that it is no longer the entitlement of only the large firms, but can empower any organisation from small to large, from startup to established, to be able to revolutionise their customer offering and to elect to disrupt or be disrupted. With this speed of technology change comes a need for those supporting the business to adapt quickly and adopt new methodologies, knowledge, and skills to empower a company to take advantage of these new possibilities. Switching from Waterfall to Agile, from networking to virtualisation to Docker, from hosting to IaaS & PaaS and from C, through Java into Swift, Hack, and Dart. A wide range of firms still relies on traditional IT infrastructure (locally deployed server applications and databases) despite the increasingly rapid rate of companies migrating to cloud-based systems. Digital Transformation seems to be on the agenda of most Enterprise organisations, banded about as if it’s a switch to flick and a fast thing to undertake. However, the reality is far from the truth and accepting the change required and having the skills at hand to achieve it, are barriers impeding a growing number of companies. Change is hard to accept at the best of times, particularly if you have previously been the subject expert on a vendor/technology for a long period, to now find that is being disrupted at pace and your worth is diminishing either in your own firm or to the general market. Being prepared to let go of many years of acquired skills and accept the need to re-start and learn a whole range of new skills is hard to accept, and many will resist, defending the status quo and hindering business change and their own personal progress. For companies moving applications and services to cloud platforms, migration challenges are one of the top constraints affecting IT, as there are no automated switchovers on offer and customised internal or external migrations vary from mild to heavy development changes. For example, migrating a home grown or proprietary application requires new application development and testing. However, if taken on with commitment, the move can provide faster more agile application development through DevOps and utilisation of enhanced cloud features and API’s leading to improved application lifecycle management. However, with this comes the need for professionals with the skills and knowledge of the chosen cloud platform to deliver the migration project in a structured, and effective manner. Cloud continues to enhance quickly and even those in the cloud a decade ago are finding they are needing to continue to learn new skills, such as the usage surge in containers, for which a Robin Systems Survey recently cited that 81% of organisations are planning to increase their use. Big Data has introduced new approaches, tools, skills and with an expected 60% per annum growth (IDC) cannot be ignored. With the increased volume of data and continual crunching demands databases are going to live in the cloud and demand new platforms and approaches. With the plethora of changes from new coded applications and architectures holding vast data stores in the cloud, the need for greater cyber security expertise is an essential requirement. With the human element recognised as the most vulnerable area of security, the introduction of so many new skill areas will introduce increased risk of new security exposures. Software developers in the cloud must understand and treat with extreme caution, the need for increased responsibility for security assurance and compliance. 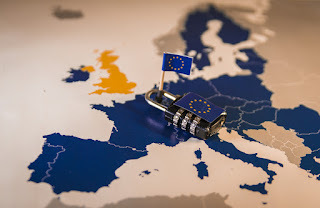 With the heightened awareness of security threats and breaches and the introduction of the new GDPR (General Data Protection Regulation) in Europe with far heftier and damaging fines, getting this wrong is now going to be catastrophic. It is estimated that less than 5% of cloud applications are ready for GDPR, leading to a vast breadth of enhancement In a very short period. The perfect storm circling this comes from the expectation that 30-40% of the corporate workforce will retire in the next decade, combined with a reduction in those studying relevant ICT subjects and the reduction in educations capability to provide effective education in the required areas. We have a rapidly increasing need for new technology skills (to both support new technologies and to support digital transformation from old to new) and a big % of those with technology backgrounds retiring rather than reskilling, backed a reduction in educations capability to attract and educate to the level of need required. Businesses now have pressures upon them like never before! Markets that shift quicker, more fickle and demanding customers, users being influenced by or becoming millennials (who expect faster, quicker, easier, cheaper from the world they have grown up within) and disruption all around them from new born firms who can attack with the gusto of using all the new world tech and methods, with no legacies to unchain themselves from. Companies MUST have access to the skills required to be able to employ the full scope of new tech on offer to their business advantage. To be able to move old creaking applications to newer form factors and to deliver a better quality of service and user experience to the demands of any device, any place, any time working for both their employee and their increasingly new breed of customer. Unless the issue is addressed quickly, you can expect ‘Supply & Demand’ for these new skills is going to simultaneously implode and explode, creating a chasm between need and affordability, as those who can do become scarce and valuable commodities, available to the few who can afford!